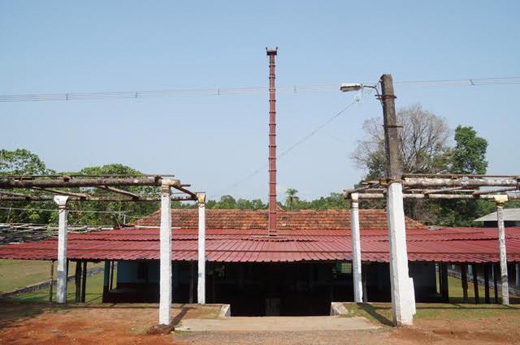 Karkala: August 1, 2015: Unidentified miscreants barged into Mudral Shri Durgaparameshwari temple in Bajagoli and decamped with valuables amounting to Rs. 1.25 lakh on Friday. According to the sources, the thieves break open the main door lock and gained entry inside the temple. They looted cash and silver idol of the deity. The incident came to light when the priest of the temple saw the door open when he came for the Morning Prayer. He immediately informed the matter to temple authority and the police. The police officials arrived at the spot and investigated. A case has been filed at Karkala Police station.